Today, engaging customers means having a conversation and nurturing a relationship over time, rather than sending one-sided, short-term messages. It means consistently delivering relevant, always-on content. 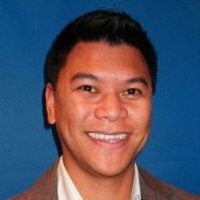 But what does that kind of marketing mean for financial marketers, who must evaluate every company statement against legal and compliance concerns? We asked that question of social and content marketers, including the trailblazers leading social and content marketing programs for organizations such as Citi, BlackRock, Digitas, and Zurich. A road map for steering your company to an always-on social strategy. From defining your strategy to securing the support of top management, sourcing content and measuring performance, this guide is designed help you ditch the overwhelm, get past the naysayers, and plant your feet firmly on the road to always-on marketing success. Valuable perspectives on working with legal and compliance. Time-tested methods for building trust and customer relationships. Strategies for getting everyone on board, from top management on down. You’ll find much more packed into this helpful guide. From broad-view inspiration to tactical advice, this is the first guide book of its kind specifically geared toward finance marketers. See how others in your industry are transforming the way they interact with customers, and learn how you can lead your organization in the same direction. 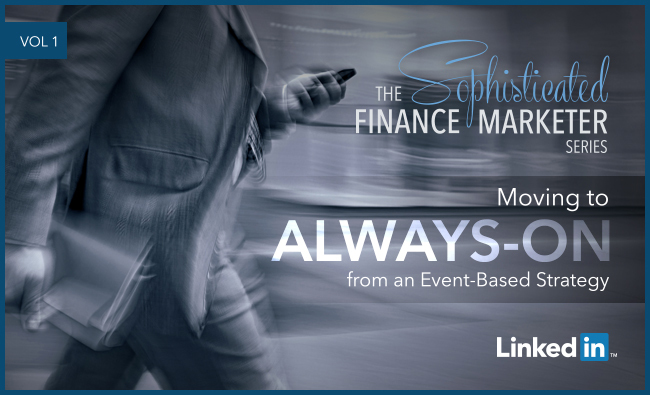 Download The Sophisticated Finance Marketer: Moving to Always-On from an Event-Based Strategy today.